It so happened two days back I was in my car listening to my favorite Radio 4 Today program on my car radio, which runs 6-9am every weekday. It also so happened that during the short time that I was on the road, Al Gore was being interviewed and given all the things I have heard about him, my ears pricked up. Before I go back to the interview, which is really the main point of this post, I ought to say something about Al Gore. He is someone who has cropped up in recent years as a high profile (after all did come within a whisker of becoming US President) leading environmental activist. His film “An Inconvenient Truth”, which I re-watched just prior to posting, is a classic. The film has understandably received wide acclaim as well as attracting critics. The arguments by now have been well rehearsed (and Gore has recently released a sequel) and amounts to CO2 emissions causing detrimental climate change and in order to slow down and stop this measures are needed on a global scale to reduce such emissions. I understand the consensus among most scientists is of this view although there are those that express doubts and reservations, often referred to (including by Gore) as climate change deniers. One land mark initiative to reduce carbon emissions is the Paris climate change accord, which President Trump pulled the USA out of back in June, giving his reasons, and which I have written about (see here). 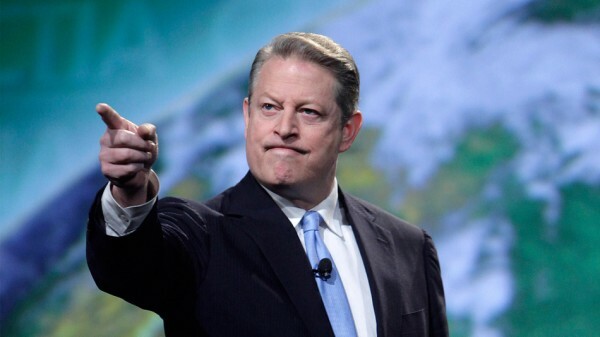 It was about this and the work Gore is relentlessly engaged in, for which he continues to attract much publicity and acclaim, in order to counter the worst effects of climate change, which happened to be the main focus of the Today program interview. My beef with the Today interviewer was he was too accepting and soft (especially given I have listened to many a Today interview where the words Spanish Inquisition came to mind). Funnily enough I later had the same impression listening to LBC’s James O’Brien interviewing Al Gore. He struck me as being awestruck in the presence of the great man and this is one who takes delight in trapping and then crucifying hapless lesser victims because they were unable to back up their opinions with hard evidence. I concede there is sometimes a place for giving an interviewee a free reign and a lot of useful information came out as a result. While it was clear Gore was no Trump fan (we knew that anyway) he was quite discrete in his criticisms and even gave Trump certain credit in his handling of the North Korea Crisis. But what grated was that Gore was not challenged on his statements, like Trump leaving the Paris agreement was down to him surrounding himself by climate change deniers. The interviewer kept bringing up Ivanka Trump as one who might have prevented him, which I found irksomely weak. After all there are reasons for Trump’s decision as my earlier blog argued: e.g. an antipathy to globalism and government constraints, a reasonable belief that the private sector might do better, the unfairness of the agreement toward the USA, compared with India and China, and the creation of a million new US jobs since Trump was elected, and huge surge in the stock market. And why didn’t he point out that Gore has become incredibly wealthy out of climate change and instead of owning several luxurious properties he could have helped the homeless and saved on his huge energy bills? The reason is the BBC is biased and sadly lacks interviewers of suitable depth and independence (a sad indictment given over the years some of the Today program interviewers have been legends). I am all for deference when needed but it is strange who the BBC shows deference towards. Meanwhile, I follow developments with interest. I am NOT a climate change denier. I do yearn for facts and viable solutions. As Al Gore says: we need to bring truth to power. → MAKE AMERICA HATE AGAIN!